Located on the popular Buckingham Park development this top floor two bedroom apartment is within easy reach of local amenities. 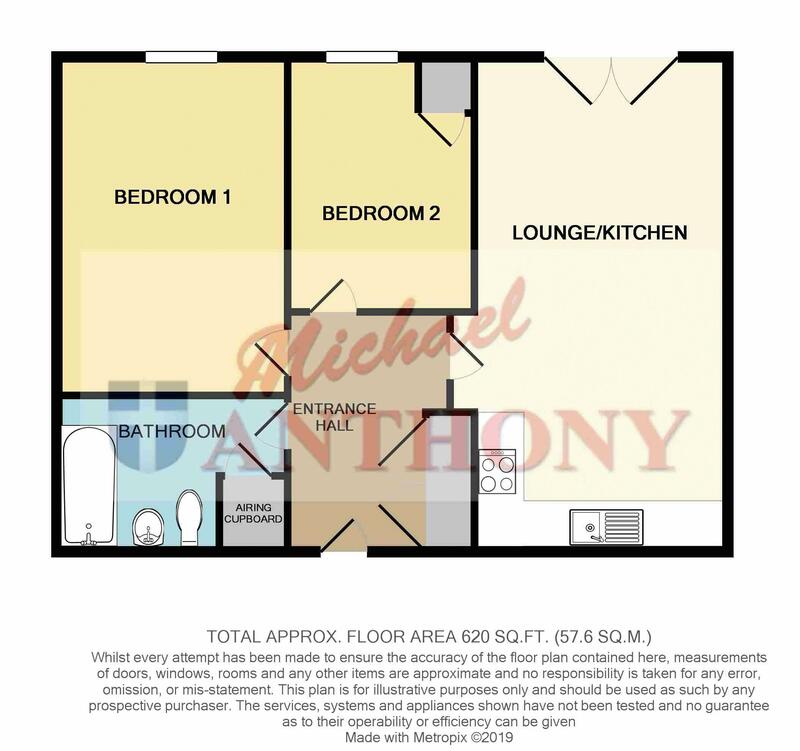 The accommodation briefly comprises entrance hall, open plan Kitchen/lounge/diner area with Juliette balcony from the lounge, two double bedrooms, family bathroom and allocated parking. Call 01296 433666 for further information or to arrange a viewing. Entry via communal front door with security intercom entry system. UPVC Juliet balcony to rear aspect, radiator, a range of storage cupboards at base and eye level, rolled edge work surface areas, integrated fridge freezer, washing machine and dishwasher, fitted four ring gas hob with electric oven and extractor hood over, telephone and television points. UPVC double glazed window to rear aspect, radiator, built in cupboard housing Combi boiler. Low level w.c., pedestal wash hand basin, panelled bath with shower attachment over with glass screen, radiator, extractor fan, storage cupboard.